Wat Ratchanatdaram Worawiharn is a royal temple located opposite the old Fort Mahakarn at the junction of Mahachai Road and Ratchadamnoen Klang (central) Avenue. 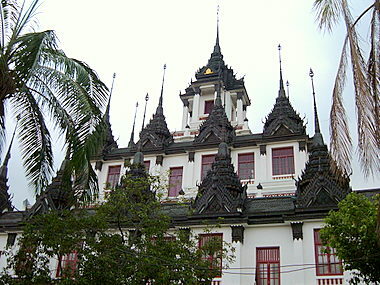 King Rama III built the temple in 1846 in honor of Queen Sommanat Vathanawadi. The outstanding feature of this royal temple is the Loha Prasat or Metal Castle, a three-story sanctuary with 37 spires representing the 37 virtues required for enlightenment and the teachings of Buddha. 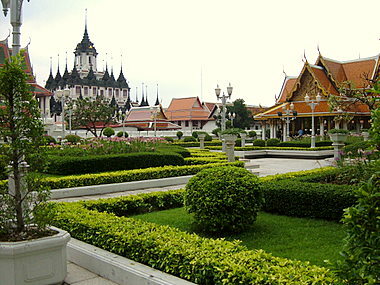 Loha Prasat went through a massive restoration in 2004 and the work is now completed. The black spires (they were white before the restoration) are ringed in two tiers around the sanctuary, topped by a chedi in which the relics of Buddha are kept. 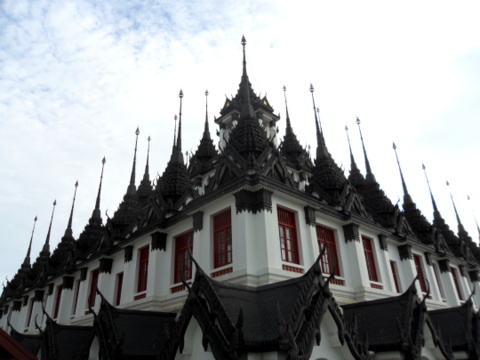 The numerous sprouting spires stand out from a distance making Loha Prasat a prominent landmark in the area. Based on Indian and Sri Lankan architecture, Loha Prasat is believed to be one of three similar buildings in the world. The other two are in India and Sri Lanka. Contrary to its name, the Metal Castle, it's not made of metal but bricks and mortar. 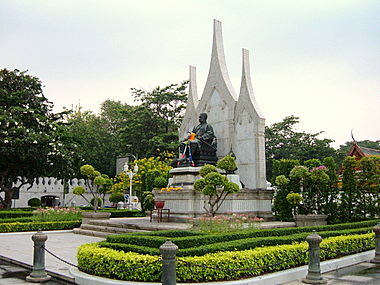 The front of the wat, facing Ratchadamnoen Road has a beautiful park with an elaborate pavilion and a statue in honor of the royal benefactor, King Rama III. The park with the newly restored Metal Castle as a backdrop, makes a beautiful souvenir shot of your tour of this Bangkok legacy. This is another of the royal temples built by the early Chakri kings in Bangkok, the city of temples with the temples of kings. The locations of this temple, Wat Thepthidaram and Wat Saket are presented in one map as these three royal temples are in close proximity to one another. These three temples are located near at the busy Fort Mahakarn junction where Central Ratchadamneon Avenue fans out into multiple roads. Prominent landmarks at this junction are Wat Saket, the temple on the golden mount, Fort Mahakarn at the foot of the mount and the black spires of Loha Prasart. You can’t miss them all. Wat Ratchanatdaram is near the junction just behind the park opposite Fort Mahakarn. The Metal Castle can be seen from the main road. While you are there, visit Wat Thepthidaram, Wat Saket, King Rama VII Museum and old Fort Mahakarn which are within walking distance. Air-conditioned bus services no 79 from the Ratchaprasong junction – Central World Plaza – Pratunam (in front of Grand Diamond Pratunam Hotel) goes to Ratchadamnoen Avenue. 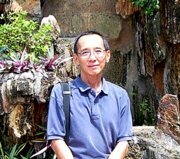 Get off when you see the spires of the temple on the golden mount, Fort Mahakarn or the spires of Loha Prasart.